Looks like the Baahubali wave will never die down. The film is now making news for being the first dubbed film to break into the exclusive 100 crore club in Hindu. 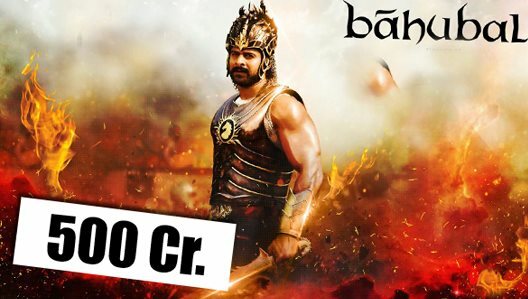 Meanwhile, India’s most expensive film till date has managed to smash box-office records by hitting the 500-crore mark. Prior to this, only two Indian films – Hrithik’s Dhoom and Aamir’s PK has managed to scale the 500-crore mark. Managing to hold on to most screens for over four weeks now, the film has caught international attention too, opening to positive reviews from the likes of Guardian, CNN and BBC.